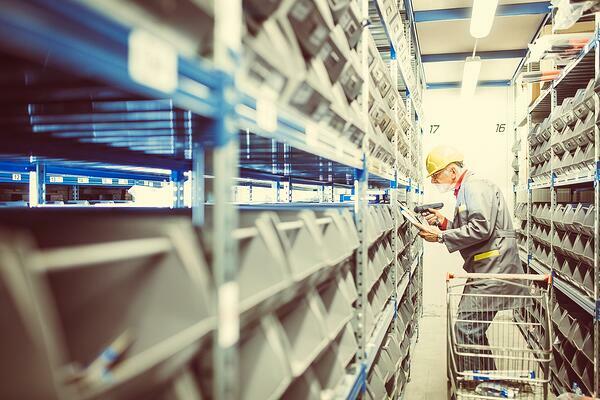 Given that most distribution centers are picking many hundreds of thousands or millions of items per year, the number of errors at a 99.5% accuracy rate is very significant. And, what are those errors costing your company? A survey recently conducted by Honeywell showed that the average cost of a picking error is $59, causing DCs on average to lose about $400,000 annually from picking errors. The high cost of picking errors is why companies are aiming for higher accuracy and are increasingly implementing voice-directed picking solutions to achieve much better results. Let’s a closer look at the causes of picking errors and how a voice picking solution improves picking accuracy. The root cause of most picking errors is any distraction that causes the picker to lose focus. Whenever the picker’s focus shifts from the pick slot and the items they are required to pick, even for just for a second or two, the likelihood of a picking error increases. Most companies today use RF devices or paper or labels to direct their pickers through their pick assignments. Such methods inherently cause the worker to divide their focus between the work they are being instructed to perform and the device or paper providing them with their pick assignment instructions. So, how are voice-directed picking solutions helping companies achieve accuracy rates of 99.9% and greater? When pickers are able to hear their pick assignment instructions, they can keep their eyes and focus on the pick slot and the items they are to pick. They can confirm that they picked the correct quantity via a spoken confirmation rather than having to also focus on pressing keys on an RF device or handle and pen or pencil to mark the item off a paper pick list. And, when the quantity of items to pick is large, the Vocollect voice-directed picking solution offered by Speech Interface Design is able to help them be accurate via a “countdown” feature. With “countdown”, the voice system speaks the remaining quantity to be picked after the worker confirms whatever quantity they can pick in each reach. This increases productivity as well as accuracy. Voice picking solutions by Speech Interface Design are implemented to fit the unique needs of your distribution or fulfillment operation to deliver the “hands-free, eyes-free” value of voice: optimal accuracy with optimal productivity. So, as you aim to achieve higher levels of accuracy, know that Vocollect voice will deliver it - along higher levels of productivity as well. Learn about how one company increased their order picking accuracy to 99.9% while also cutting labor costs by over $200,000.